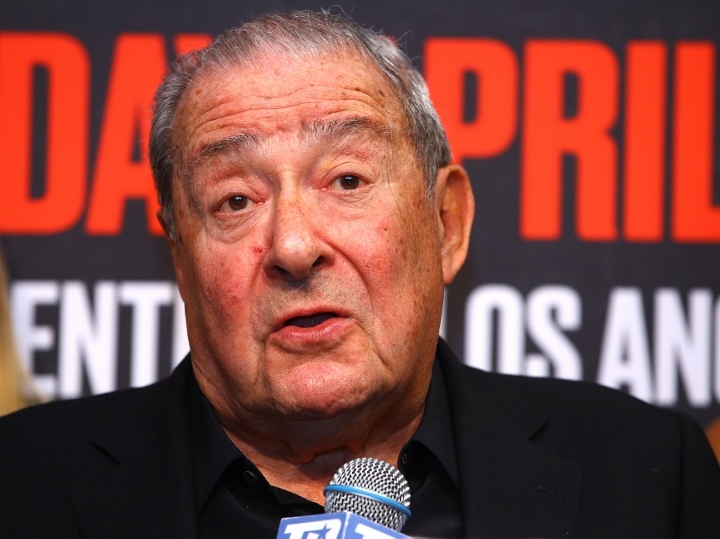 Top Rank's CEO Bob Arum, who promotes WBO welterweight champion Terence Crawford, is planning to do everything possible to make a unification with IBF world champion Errol Spence. Spence was in action last month, when he dominated four division world champion Mikey Garcia over twelve rounds at AT&T Stadium in Texas. Crawford is back in the ring on April 20th, when he defend his title against Amir Khan at Madison Square Garden in New York City. Should Crawford win next Saturday night, Arum is planning to call Al Haymon - the head of Premier Boxing Champions, who guide the career of Spence. Haymon has numerous welterweights under his brand - including WBC champion Shawn Porter, WBA champion Keith Thurman, eight division champion Manny Pacquiao, Danny Garcia, and several others. But Arum views Spence as the main opponent for Crawford's legacy at the weight. “They have one fighter, Errol Spence,” Arum said to The Los Angeles Times. “There’s no doubt in my mind that Errol Spence wants the fight as much as Crawford wants it. So if Terence wins, I’ll call Al Haymon and work to sit down and make the fight. It’s not rocket science that this has to happen. We can sit down and make the fight in one day just like we did for Mayweather-Pacquiao. In 2015, Arum and Haymon sat down to finalize the most lucrative fight in combat sports history - when Mayweather and Pacquiao collided in May of that year, in what was a joint venture by rival cable networks HBO and Showtime. Arum is hoping for a similar type of situation, since Crawford is aligned with ESPN and Spence is backed by Showtime and Fox Sports. A joint pay-per-view venture will be necessary to make the fight a reality. Haymon's fighters won't fight Crawford. Same thing would be happening the other way around if Arum had the majority of the top WWs. Everything else is "promotion".